The No. 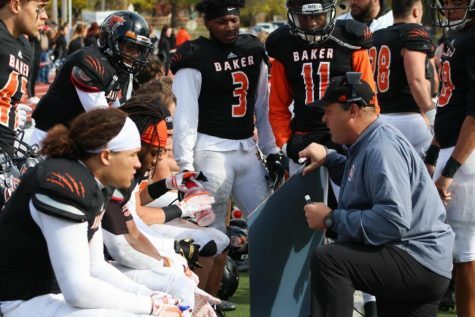 4 Baker University football team will host No. 13 Sterling College at 1 p.m. Saturday at Liston Stadium for the opening round of the NAIA playoffs. With his family watching in the stands, senior running back and San Diego native Dillon Baxter knew he couldn’t disappoint. “With my son watching, and my girlfriend, mom, dad, grandparents, I think that drove my whole game,” Baxter said. Baxter saved his best performance for the last regular season game of his career, rushing for 219 yards and a touchdown on 30 carries. 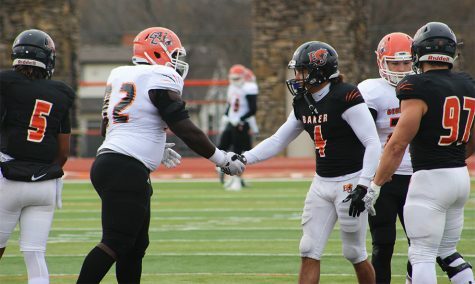 His effort led the Wildcats to a 38-13 victory over the Peru State College Bobcats on senior day at Liston Stadium. With wind gusts as high as 40 mph, Baker ran only nine pass plays in the first half. As the wind died down, senior quarterback Jake Morse was able to throw the ball downfield, which resulted in two long touchdowns — a 43-yarder to freshman Clarence Clark and a 32-yard pass to senior Tyler Hatcher. 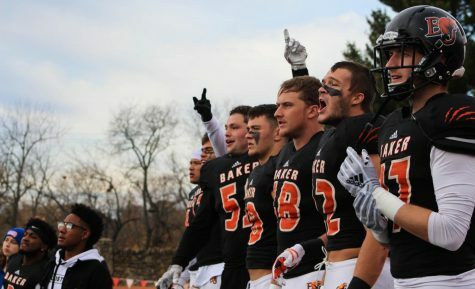 “Once we started running, they started stacking the box, and luckily the wind cut down in the second half so we were able to throw a little more,” Baxter said. 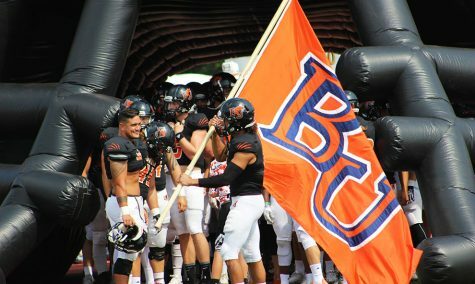 With an 8-1 conference record, Baker won a share of the Heart of America Conference championship, tying Benedictine College and Missouri Valley College for first place. This is the program’s first conference title since 1993. “As the clock was winding down, (Morse and I) had a big hug, and he said to me, ‘This is my first championship ever,’ and you don’t realize that with a 23-year-old kid, who’s played a lot of football in his life, and this is his first time experiencing that,” head coach Mike Grossner said. 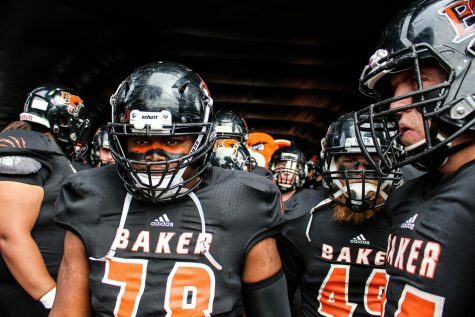 Facing a strong triple-option team, Baker still outgained the Bobcats on the ground 274-224. Junior Camren Tornaden added to Baxter’s 219 yards with 37 of his own, including a six-yard score. “It’s really nice to have Camren right behind me, I know when I’m out it’s just like having another starter in,” Baxter said. The Wildcats’ defense held the third-ranked Peru State rushing attack to 59 yards below its season average. “We were very assignment smart. There was only probably two missed assignments all day, and it showed with a few big runs, but we had the fullback corralled, the quarterback corralled, and the late pitch we were all over,” Grossner said. 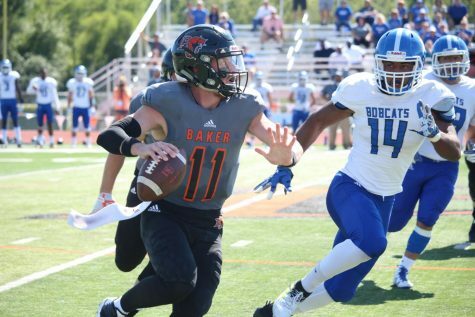 Baker also had the edge in the passing game, as Morse went 12-23 passing for 169 yards, three touchdowns and an interception, compared to Peru State’s team effort of 11-25 for 96 yards and two interceptions. “Any time you get an option team throwing the football, you know you’re winning the game,” Grossner said. Both of those interceptions came from senior linebacker Emmerson Clarke, picking off his fifth and sixth passes of the season. After a scoreless first quarter, Clarence Clark knocked in a 24-yard field goal for Baker to take a 3-0 lead in the second. But the ensuing Peru State drive ended with a 25-yard touchdown run by junior Marcus Spearman and a 7-3 Bobcat lead. 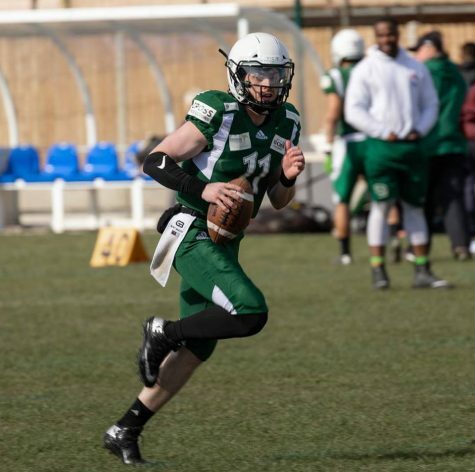 The Wildcats answered right back with a touchdown of their own, a 12-yard connection from Morse to sophomore Alex Stebbins to regain their three-point lead into halftime. 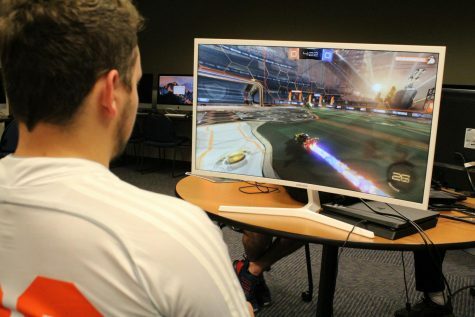 “We always start out a little slow, and that’s something we need to work on, but once we get it going it is really hard to stop us,” Baxter said. 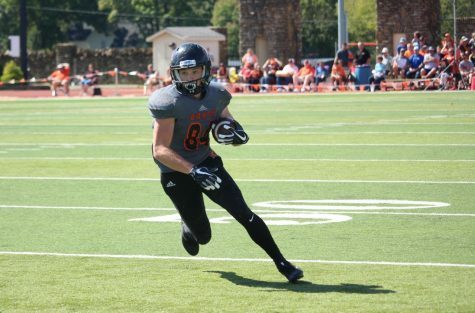 And the Wildcats got it going in the second half, outscoring Peru State 28-6. “We came in deflated at halftime, so when we got in the locker room I gave them a gentle reminder of what we’re playing for, and I think they responded real well,” Grossner said. With the win, the Wildcats improved their record to 10-1 overall. Baker also won its 10th game of the season for the first time since 1983.